Looking for a place to store your extra furniture, cars or other household items? 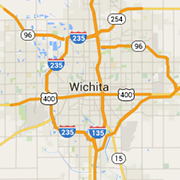 Find Wichita area storage units here. PODS Wichita offers moving and storage services. On-site storage unit delivery and pick-up.